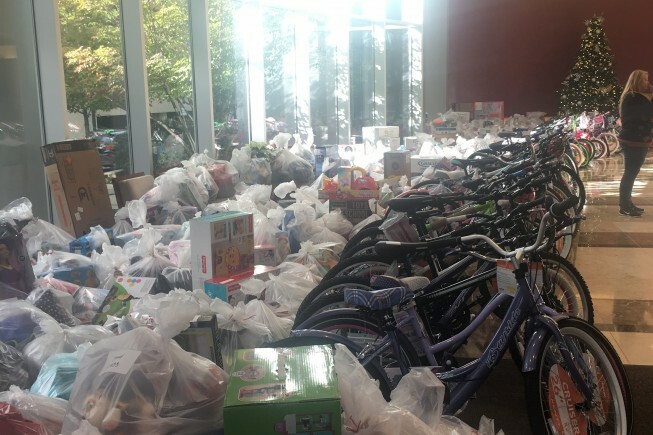 Charlotte, N.C., – Pionear has teamed up with the Salvation Army and Ally Financial Building to donate to local families within the Charlotte, North Carolina area to assure every child has a memorable holiday season. Pionear provided new clothing and toys for several children – items including bicycles, BBQ grill set, jackets, shoes, and many more items. Every child deserves to experience the joy of Christmas morning, but unfortunately families who are struggling to meet the financial demands of day-to-day life question how they might provide a gift or two for their children on Christmas Day. 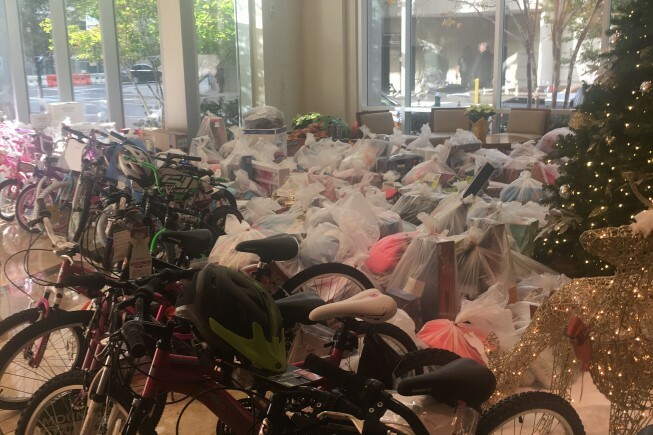 With the help of numerous media partners and generous members of the community, The Salvation Army provides gifts to thousands of children each year. The Salvation Army Angel Tree program is a need base program for children ages 0 to 12 years old in Mecklenburg and Union counties. On the collection day Pionear Recruiting delivered the gifts to the Angel Tree and were able to witness the overwhelming amount of gifts purchased for the children. 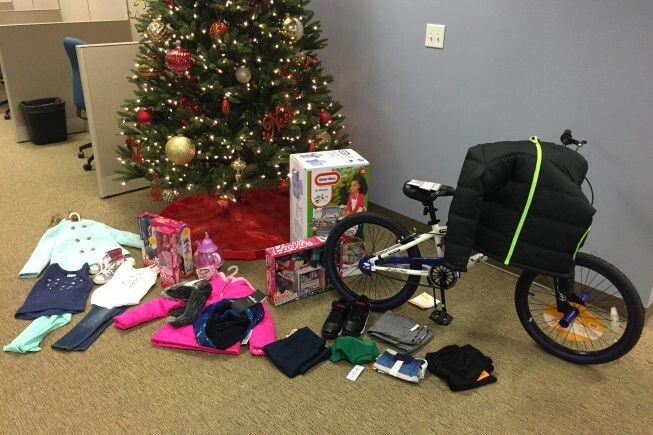 “When you give to The Salvation Army’s Angel Tree program, you make Christmas Bright for children and families throughout the Carolina’s and we are proud to be apart of this each and every year”, stated by Abby Andrews, Director of National Accounts at Pionear Recruiting. Pionear Recruiting is a full-service staffing agency headquartered in the heart of uptown Charlotte, North Carolina. The company’s growth spans the entire country, from New York City to Phoenix. Pionear is a strong supporter of local organizations including Habitat for Humanity, the North Carolina Autism Society, Urban Ministries, Toys for Tots, A Big Heart Foundation and Bright Blessings. For more information, please call (704) 943-5850 or visit www.pionearrecruiting.com.